You've spent fifteen minutes writing an email, and the Send button is nowhere to be found. You probably just need to configure an email account. Click the Info tab if you aren't already there, then click Account Settings > Account Settings, and look for your account on the E-mail tab. If you see your account, but you don't see the Send button, try the steps below. If your account isn’t there, click New. That starts the Add Account wizard. On the first page of the wizard, make sure E-mail Account is selected and click Next. On the next page, enter your name, email address, and your password. Outlook verifies your user name and password, and connects to the account. If your e-mail account is listed in the Account Settings dialog box, but you still don’t have a Send button, try removing and then adding the account. Click the Info tab if you aren't already there, then click Account Settings > Account Settings. On the E-mail tab, click the account, then click Remove. Repeat steps 1-4 above to recreate the account. 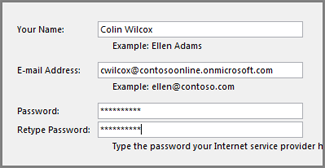 Tip: If that doesn't work, try creating another Outlook profile, and then adding your e-mail account to the profile. See Create a new e-mail profile. If you still don’t have a Send button, try Microsoft Answers for Microsoft Office, a community-based support site where you can ask and answer questions, and browse answers from others.